After months of public pressure over an anticipated fortune-changer oil deal for Guyana, Government yesterday announced that it is getting ready to make public its contract with US-owned giant, ExxonMobil. The disclosure was made by Minister of State, Joseph Harmon, during the Government’s post-Cabinet press briefing at the Ministry of the Presidency. 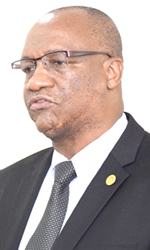 While being questioned about the contract, Harmon disclosed that the document and its release were discussed in detail on Tuesday during the Cabinet meeting of the ministers and President David Granger. He said that the ExxonMobil contract with the Government of Guyana will be made public during the month of December (this month). The document will include the terms and conditions. Questioned whether ExxonMobil has agreed to the release, the spokesman said that there are certain steps to taken in the background checks in the lead-up to the release of the document, hence the timeline. Earlier this year, amid growing pressure of the release of details of the oil deal, the Coalition Government said that security reasons and confidentiality clauses in the contract would prove to be barriers. ExxonMobil had said that it was willing to release the contract once its partners and Government of Guyana, as stakeholders, give the green light. With regard to the implications of national security, the Government would be referring to the ongoing border controversy with neighbouring Venezuela. That country is claiming a large part of Essequibo and even the area where ExxonMobil and its partners discovered oil in 2015, about 100 miles offshore Guyana, in a claim that stretches back over a century. The matter is now being mediated at the level of the United Nations and should no resolution be reached by year-end, Guyana has the right to exercise its options of approaching the International Court of Justice. Government has in essence been fearful of the impact the contract’s release would have on the border controversy, but the “excuse” has been scoffed at by critics, who argued that the overriding issue of Guyanese, knowing what deal they got on the oil, is of paramount importance. Questioned about whether public pressure and the security implications would have played a role in the decision to release the contract, Minister Harmon disclosed that a number of considerations were taken into account, with the matter being discussed in a “fulsome” manner by Cabinet. According to Harmon, the administration has recognized the need by the population for greater inclusiveness and for more information to be provided. The minister noted that his government is not deaf to the concerns of Guyanese. In fact, it is the belief of the Government to take the public into its confidence with not only the ExxonMobil contract but others as well, including those involving the country’s natural resources. It all has to do with the “national patrimony” of the people, he said. The exploratory licence with ExxonMobil goes back to 1999 when it was signed. It was not until after the administration entered office in May 2015 that the find, the first one of commercial quantity in Guyana, was announced. 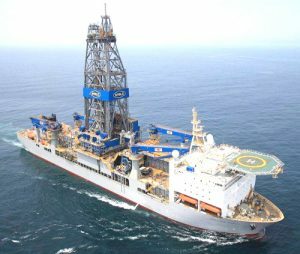 ExxonMobil and its partners, Hess Corporation and CNOOC, said that the find was significant and number of wells drilled later placed estimated at least 2.8B barrels of oil in the offshore area. In 2016, ExxonMobil secured a production contract from government. In June this year, Government announced that it has been able to raise the 1 percent royalty in the exploratory licence to two percent after negotiations. The Noble Bob Douglas drillship was contracted for a three-year period and is expected to start drilling Liza Phase 1 development wells in the first half of 2018. Guyana will also be receiving 50 percent of the “profits” of the oil proceeds when production starts in 2020. There has been worry about what exactly Guyana is getting from that 50/50 profit share, with critics pointing to a number of situations with different countries where the experience of ExxonMobil was questionable. Extraction from the offshore Liza field is expected to commence in 2020 at an initial rate of 100,000 barrels of crude per day in the first phase, with a Floating Production Storage and Offloading (FPSO) vessel providing the main infrastructural support for the project. The statement did not immediately make it clear if it is 50 percent of the gross profit or 50 percent of the net profit. There was a standing agreement from 1999, with government saying it was not happy with a one percent royalty that was offered.